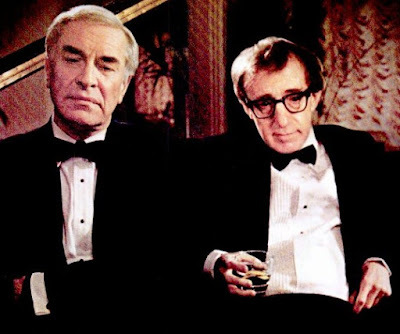 Crimes and Misdemeanors is a seriously underrated Woody Allen film, and one of his most even handed. With the seamy elements of unbridled careerism, adultry, murder, and dead-end spiritualism laced through it's deftly constructed narrative, it is a precursor of Allen's 2005 critical success Matchpoint, a good variation on the film maker's themes. But it is C and M that is the more potent film; the characters are complex and unlikeable and their respective fates embodies as Clint Eastwood's slogan at the end of Unforgiven ; "Deserves got nothing to do with it". Moral and ethical structures are fictions that work for us sometime; at other times they have no effect at all, with the consequences being incomprehensible to a psychology that prefers closure and a "just" conclusion to events and situations. The comedic and dramatic are finely twined around each other here, and one realizes finally that each is what makes the other possible. While there is an ongoing reference to a God who is blind as well as silent--the idea that the Deity has perished before his finest creation, Man, has is fascinating--there's a the perfect irony at film's end, the distinction between being in the world, committing acts and taking responsibility for them. The doctor who has his wife murdered by a contract killer suffers suffocating guilt for what he had put into motion, and feels himself twisting in the breeze coming off the abyss. The documentary film maker, dreaming of starting an adulterous affair with a woman he works with, does not act on his impulse and feels guilty for the lust in his heart. At movie's end, both meet by accident at a party and begin to talk , in a general way, about their state of being. The film maker is still burdened by guilt for his impure thoughts and regret for his failure to act on his attraction to his work mate; he is not happy. The doctor in turn, the man who entered into a successful conspiracy to kill his wife, offers up that sometimes it seems that life is one long catastrophe you're waiting for to end with some horrible , calamitous consequence, that the world you know will crash and you will be condemned, but that after awhile you notice the sun still comes up, household and work are still waiting for you to attend to them, the guilt and shame fades, you start to feel okay, and then, after a period, you have to admit to yourself that your life is actually pretty damn good. It's a choice and, I think, iconic scene from Allen's work, with the man who sinned in fact (Martin Landau) giving a big , smug grin while the film maker (Allen) , who sinned in his imagination alone, slumps in a pose of freighted self-loathing, punished without reserve for refusing to take the risk.